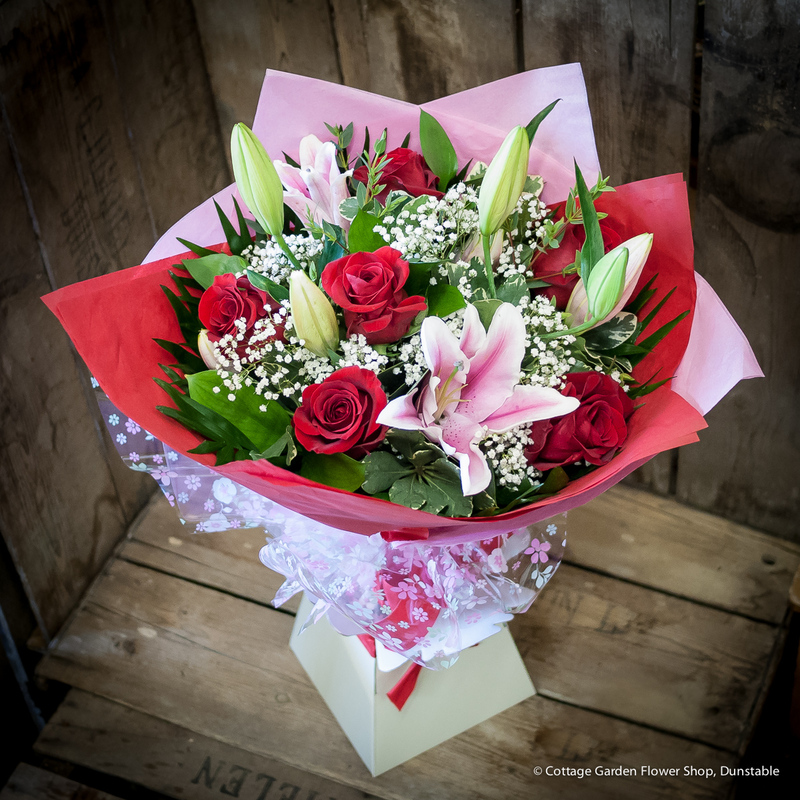 Gorgeous pink lilies are combined with six classic, large headed, red roses in this stunning bouquet. Hand tied with lush foliage and finished with tissue paper this bouquet is delivered in a water bubble to ensure freshness. Collection or local delivery only. Enter 'None' if no message is required, 150 characters max.